Calbraith Perry Rodgers, the first person to fly across the United States, was deaf from an early childhood disease. Even though he came from a long line of naval heroes, this handicap kept him from joining the Navy, but didn’t slow his quest for adventure. 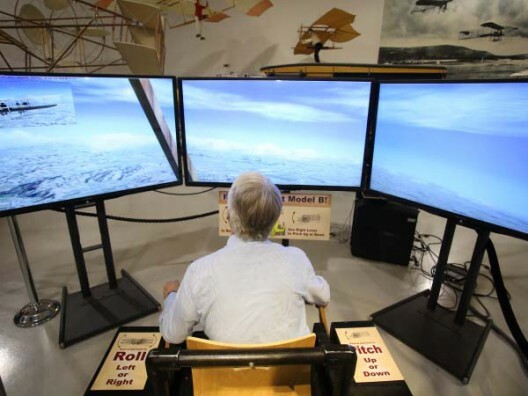 He was one of the first to sign up for flying lessons with the Wright Brothers at their home base in Ohio. He was 31 years old when William Randolph Hearst offered a $50,000 prize to the first aviator to fly coast-to-coast in 30 days or less. 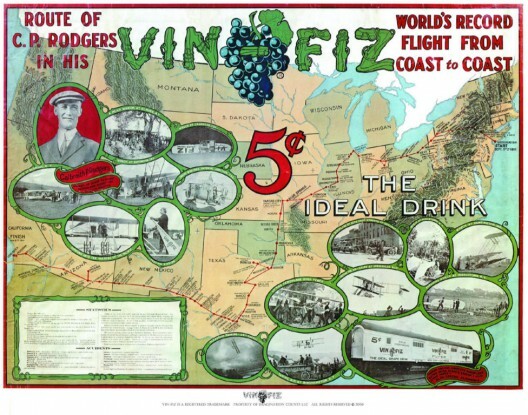 Rodgers convinced the Armour Meat Packing Company to sponsor his attempt as a promotion for their new soft drink, Vin Fiz. As a coincidence, your editor visited the Hiller Aviation Museum a few weeks ago, and they have a beautiful replica of the Wright Model EX in Vin Fiz markings, just as it looked when Rodgers set out from Sheepshead Bay, Long Island, New York, on September 17, 1911. The airplane was not pristine for long. Within a day, he crashed and wrecked the airplane. It required the first of several rebuilds, “And this was only the first of five major crashes, two engine explosions, and dozens of minor incidents.” His deafness possibly contributed to some accidents because of his inability to hear his engine. There were no instruments – not even a compass – and Cal followed railroads when all other cues failed. Solar Impulse had just set out for Phoenix when your editor made it to the Bay Area. 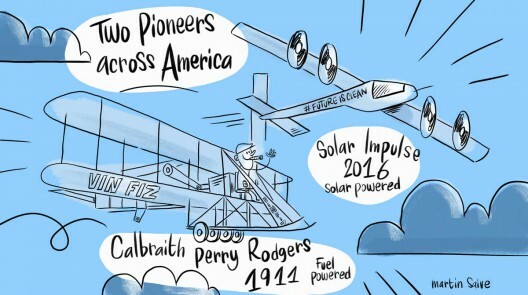 It’s of interest that Bertrand Piccard and Andre’ Borschberg made a homage to Cal Rogers in the report of their flight across America. Rodgers was a pioneer, just as Piccard and Borschberg are today. They all share the desire for a better future and the willingness to follow their dreams against all challenges.